You will look like an agent of death with this unique instrument grasped firmly in your hand. 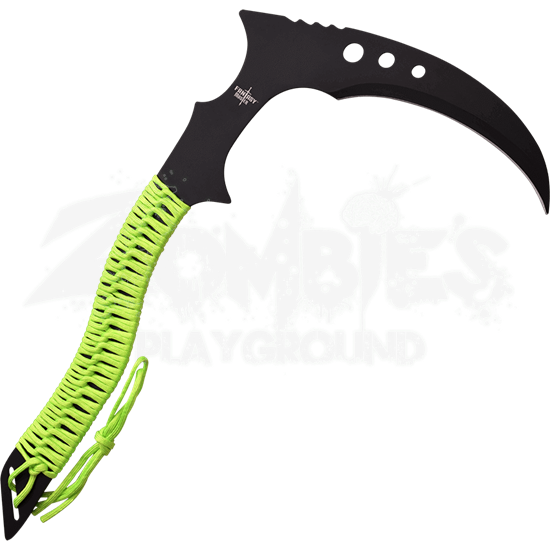 The Reaper Cord Wrapped Sickle is a great fixed blade weapon inspired by the tool traditionally used to hew grain or grasses. Used in some form since the Iron Age, the sickle easily lends itself to warfare. This stainless steel sickle is reminiscent to the Japanese kama, in particular, with its curved blade extending almost perpendicularly from the cord-wrapped handle. 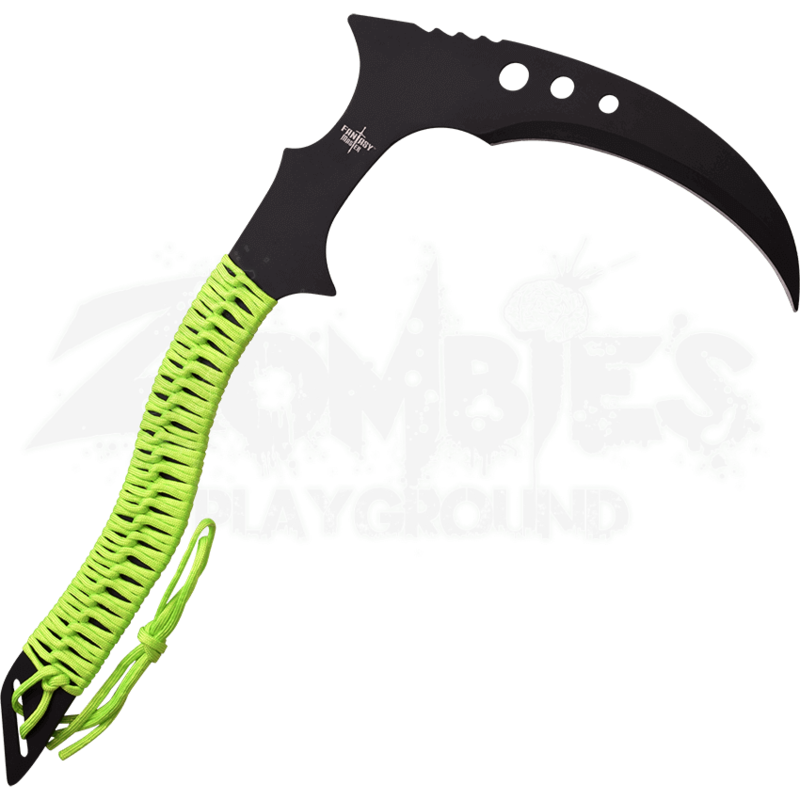 The cord is a bright green hue that looks striking with the black finish of the metal, making this a fun zombie apocalypse weapon, too! The hand sickle comes with a nylon sheath for safe storing and carrying.